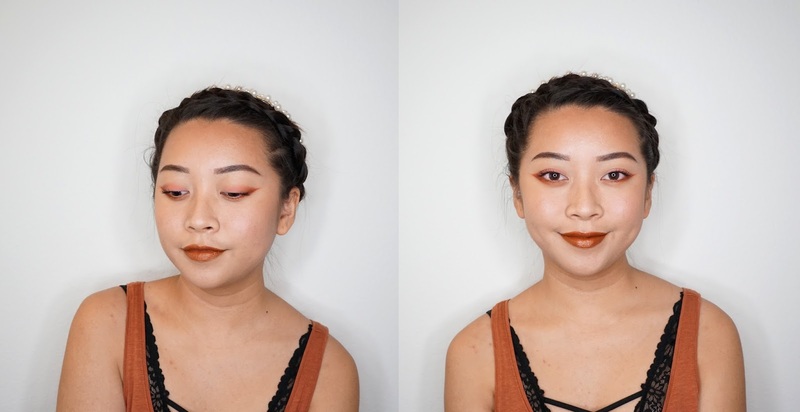 One of my all time favorite eyeshadows is Sugarpill's Pressed Pigment / Eyeshadow in Pumpkin Spice and so I was super excited when they released it again this year along with a liquid lipstick version of the same color! Right when the Sugarpill package arrived at my door, I immediately threw it on with some other Sugarpill things I have to create this look. I was inspired with a reverse smokey eye look that I saw on Instagram, but I can't remember who it was. 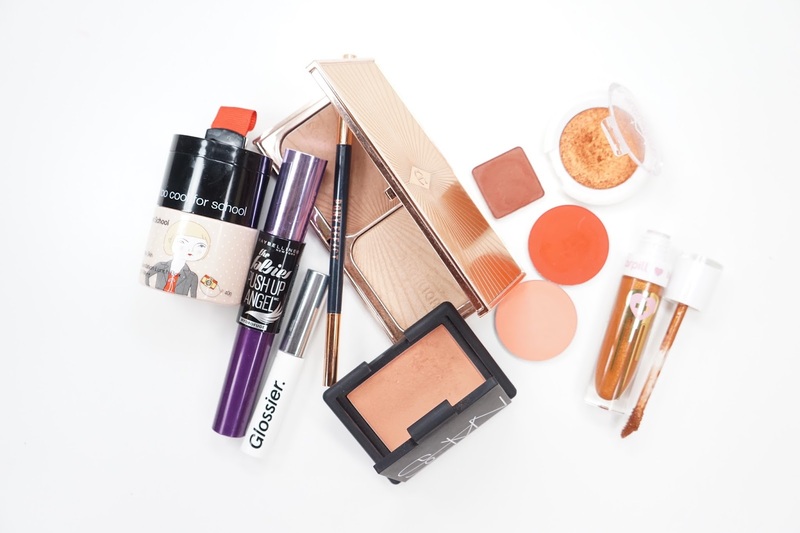 Compared to my other Makeup Party posts, this actually looks a bit more tamed. I did end up wearing it out too because my glasses hid some of the smokey under eye area. I also liked doing a more sparkly lower lashline and matte lid since I usually do the reverse. 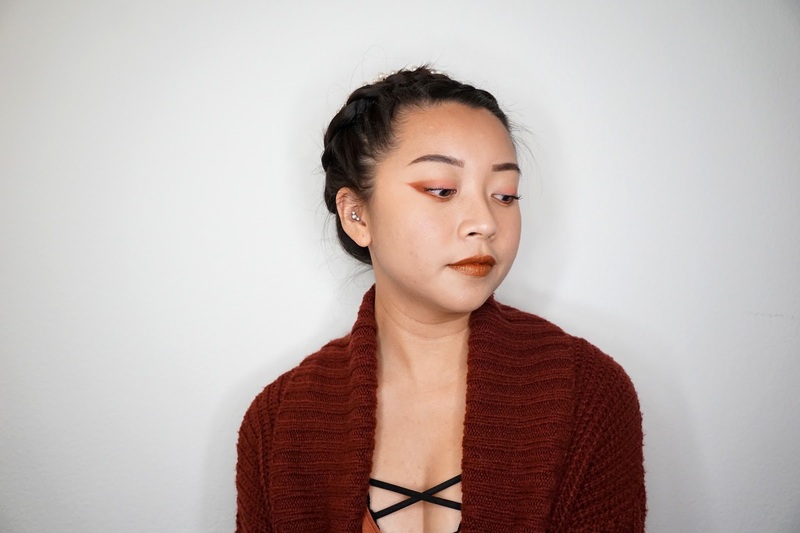 I'm planning on writing up my review of the Pumpkin Spice Liquid Lip Color soon but I wanted to get this post up just in case I'm not able to do the review before it sells out. The color is definitely super gorgeous, but definitely not as wearable as some other metallic lipsticks since the glitter is more obvious. 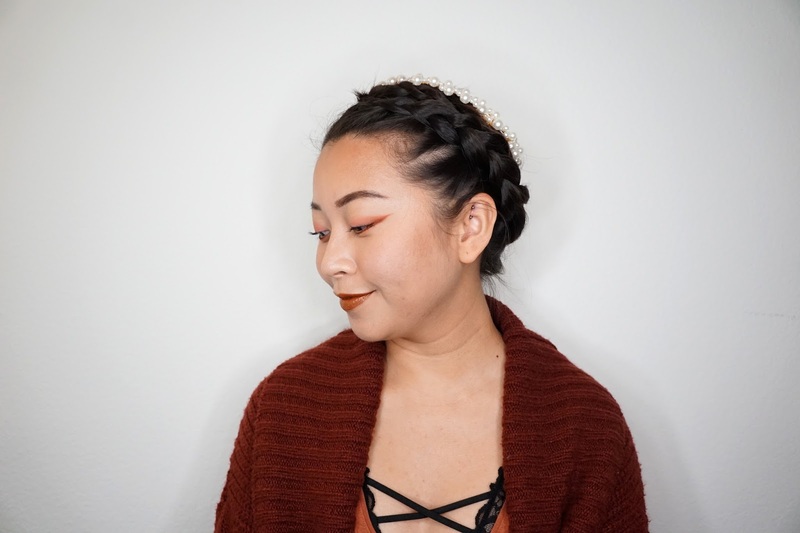 Were you able to get the Sugarpill Liquid Lip Color in Pumpkin Spice? How do you feel about reverse smokey eye looks?